Fancy Wire | White Mist Co.
5m UD Atomizer DIY Clapton Roll Coil (Kanthal D=0.4mm 26AWG) is the high quality replacement for heating coil, perfect choice for DIY lovers. 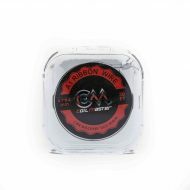 Coil Master A1 Ribbon Wire 24 awg can be used to build the perfect coils for your RDA or RBA for the best vaping experience. 30 feet of A1 Kanthal ribbon wire for coil building. .1mm x .8mm wire has a resistance of 18.66 ohms/meter. Coil Master A1 Ribbon Wire 26 awg can be used to build the perfect coils for your RDA or RBA for the best vaping experience. 30 feet of A1 Kanthal ribbon wire for coil building. .1mm x .4mm wire has a resistance of 37.07 ohms/meter. 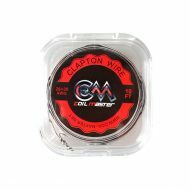 Coil Master K Clapton Wire can be used to build the perfect coils for your RDA or RBA for the best vaping experience. 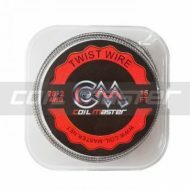 Coil Master Twist Wire 26 awg can be used to build the perfect coils for your RDA or RBA for the best vaping experience. 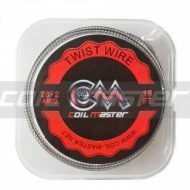 Coil Master Twist Wire 28 awg can be used to build the perfect coils for your RDA or RBA for the best vaping experience. 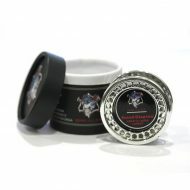 LTQ Demon Killer Alien Wire can be used to build the perfect coils for your RDA or RBA for the best vaping experience. LTQ Demon Killer Clapton Wire can be used to build the perfect coils for your RDA or RBA for the best vaping experience. LTQ Demon Killer Flat Twisted Wire can be used to build the perfect coils for your RDA or RBA for the best vaping experience. LTQ Demon Killer Fused Clapton Wire can be used to build the perfect coils for your RDA or RBA for the best vaping experience. LTQ Demon Killer Hive Wire can be used to build the perfect coils for your RDA or RBA for the best vaping experience. 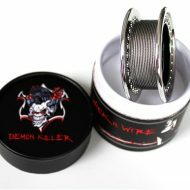 LTQ Demon Killer Mix Twisted Wire can be used to build the perfect coils for your RDA or RBA for the best vaping experience. 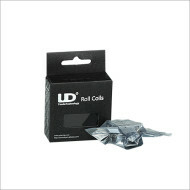 LTQ Demon Killer Quad Wire can be used to build the perfect coils for your RDA or RBA for the best vaping experience.